Fill up your wardrobe with the stylish and trendy Batty Tunic! 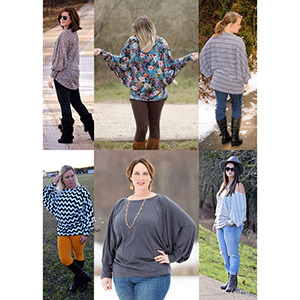 This perfectly oversized batwing top pattern is on-point for that beautiful sweater knit you have been hoarding! 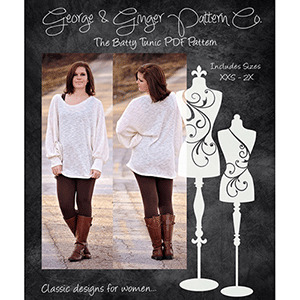 Depending on fabric and hem length, this pattern will carry you through all seasons! Choose from regular hem and hi-lo! Construction is a snap! Make something fabulous for YOU! 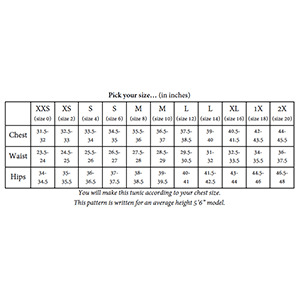 Suggested fabrics are hacci sweater, cotton jersey and cotton lycra with at least 50% stretch. 2 yards for all sizes.